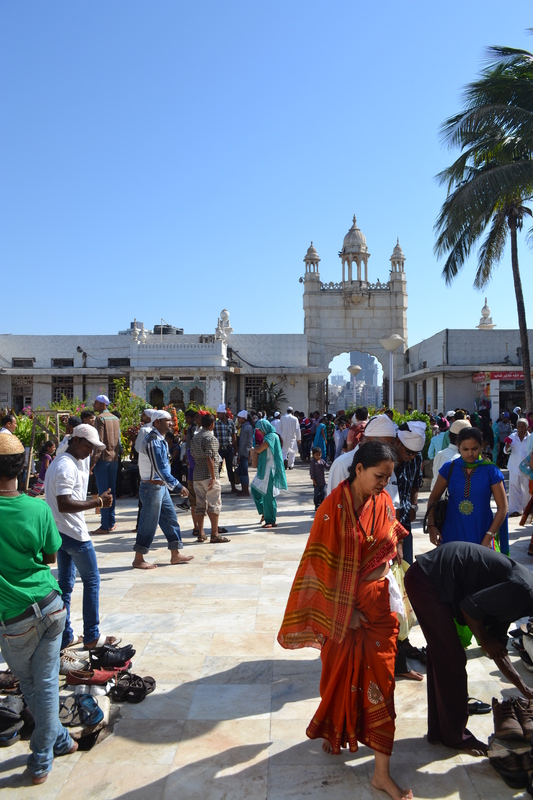 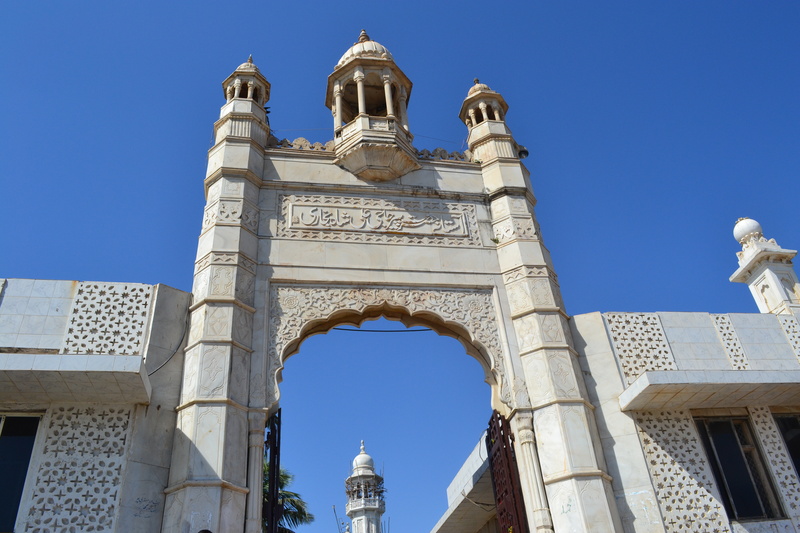 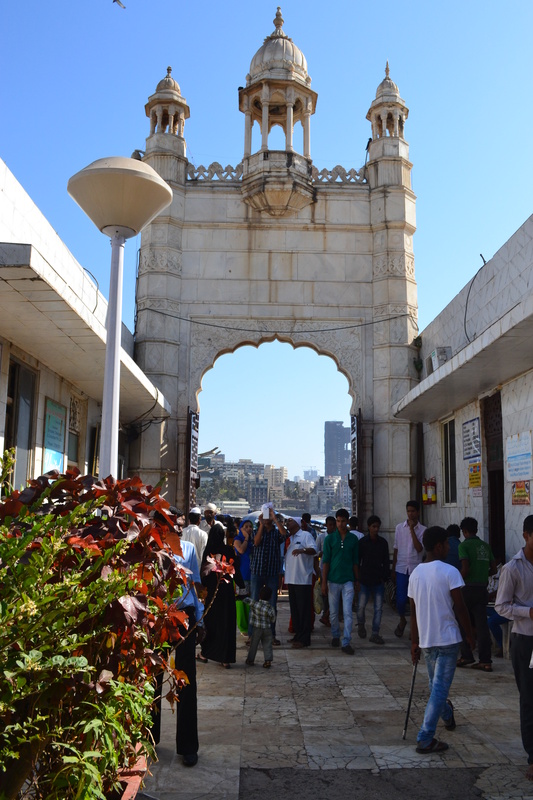 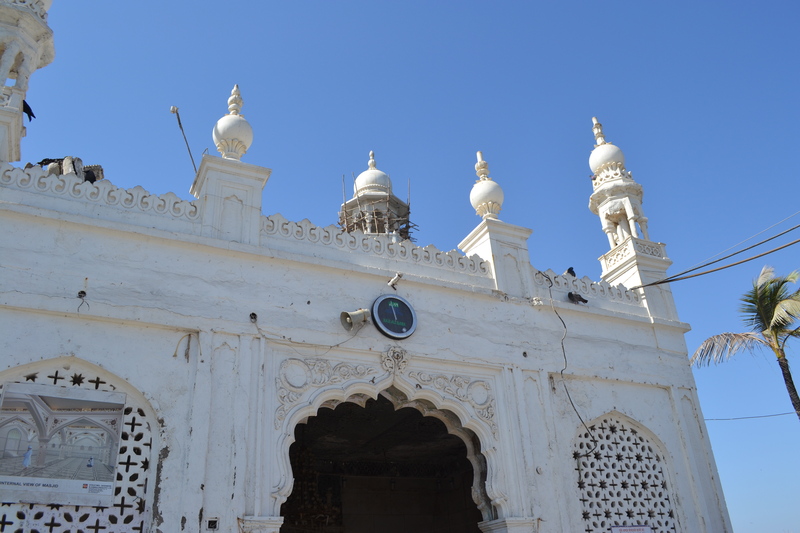 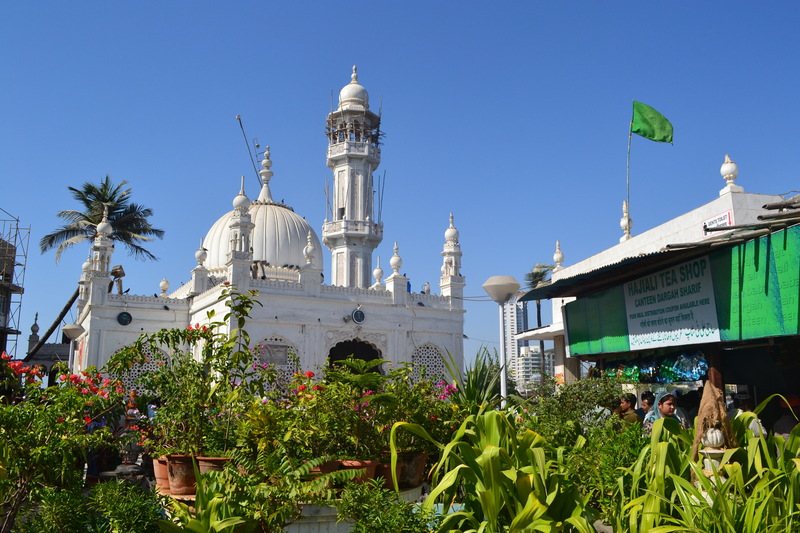 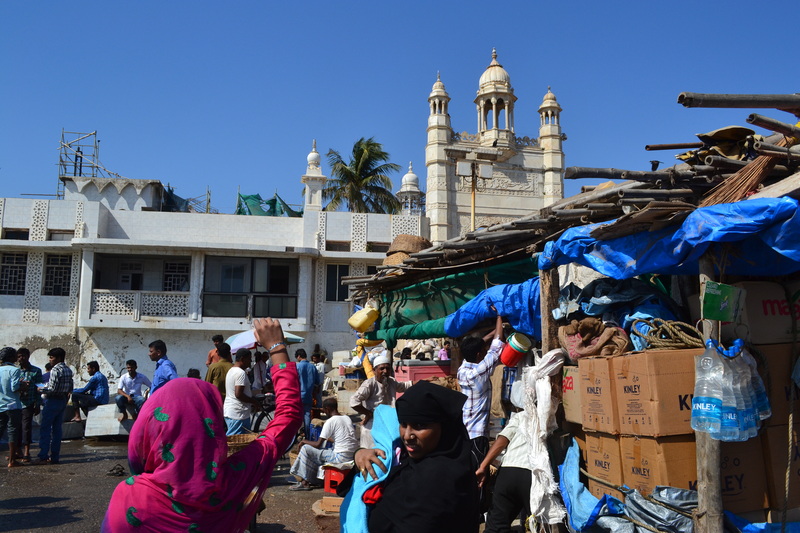 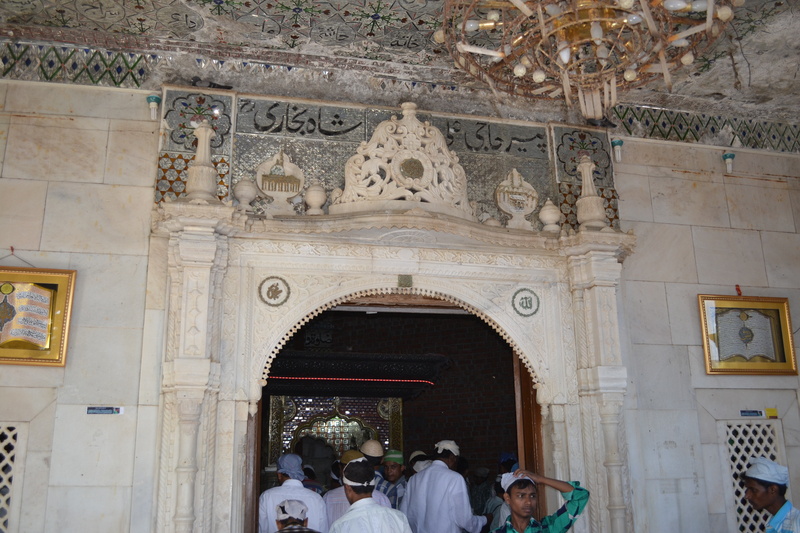 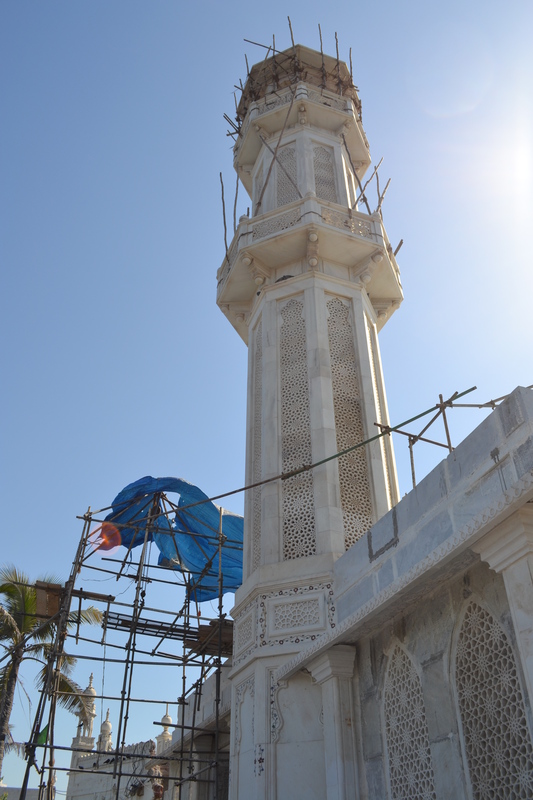 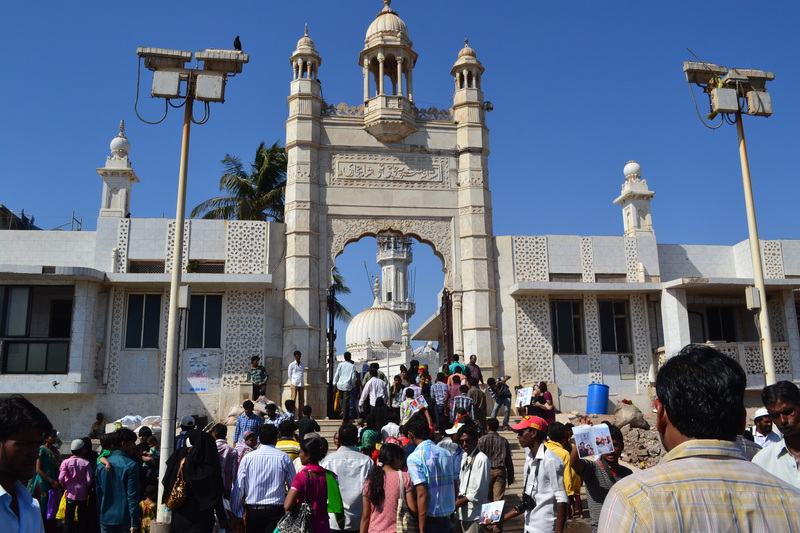 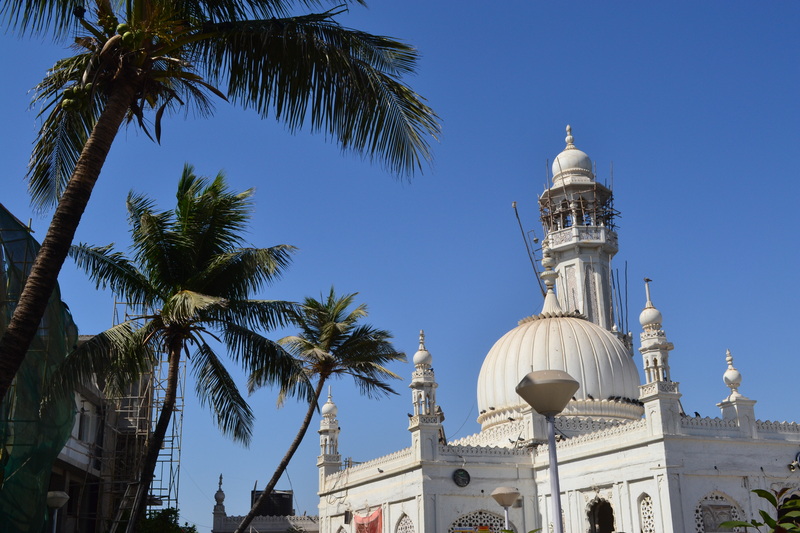 A photo tour of Haji Ali island tomb and causeway. 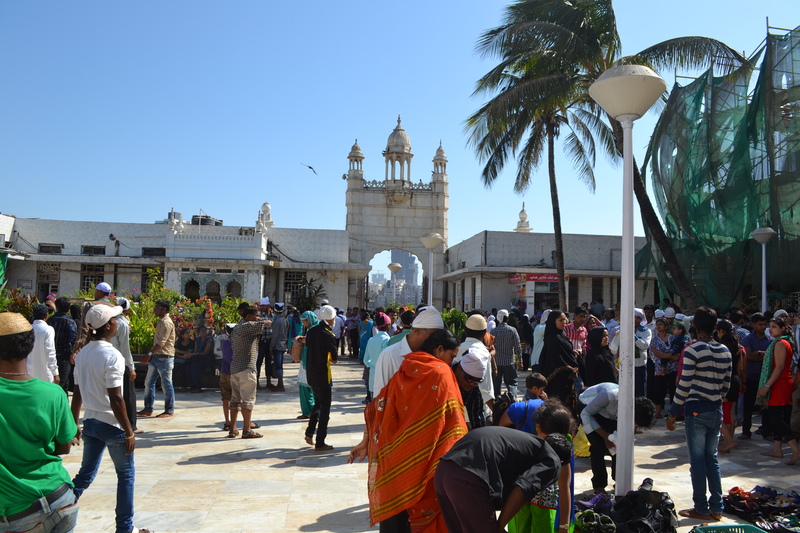 On the approach to the Dargah. 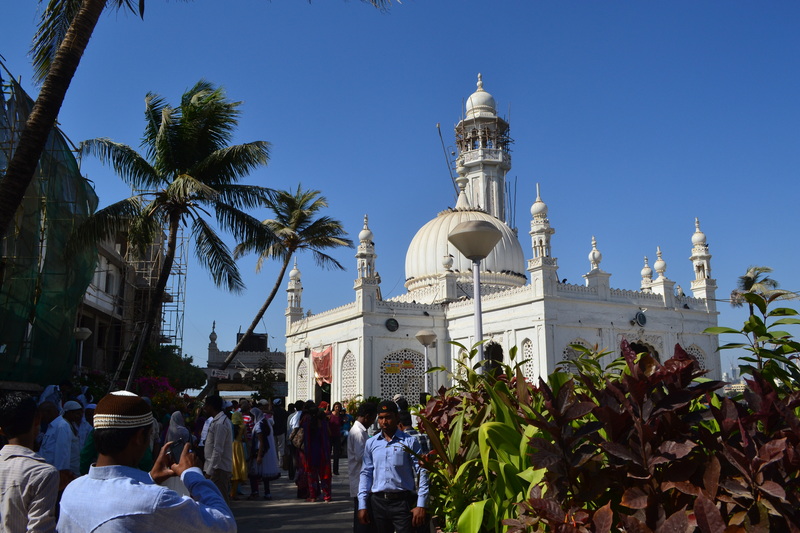 Inside the Haji Ali complex. 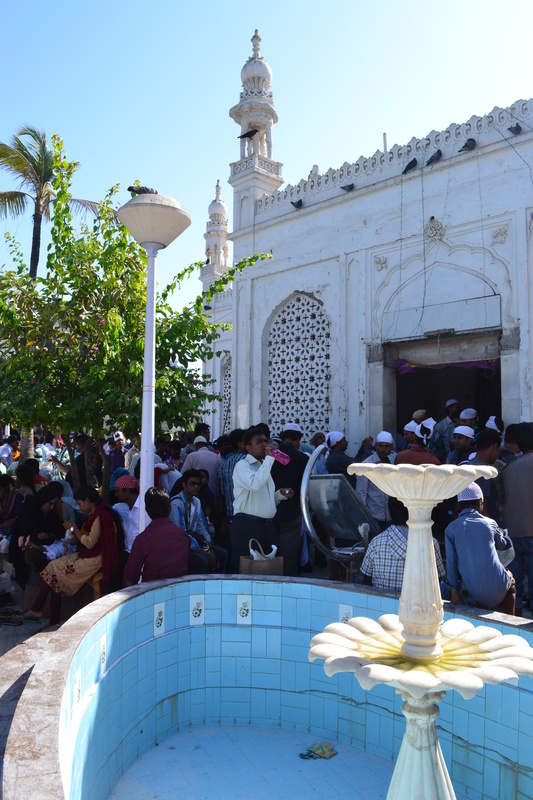 This is the view upon leaving the tomb. 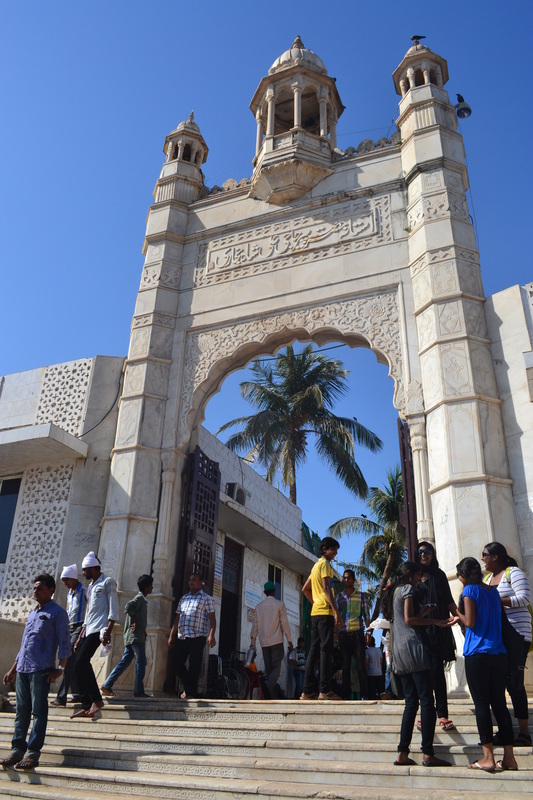 Note the stacks of sandals all around! 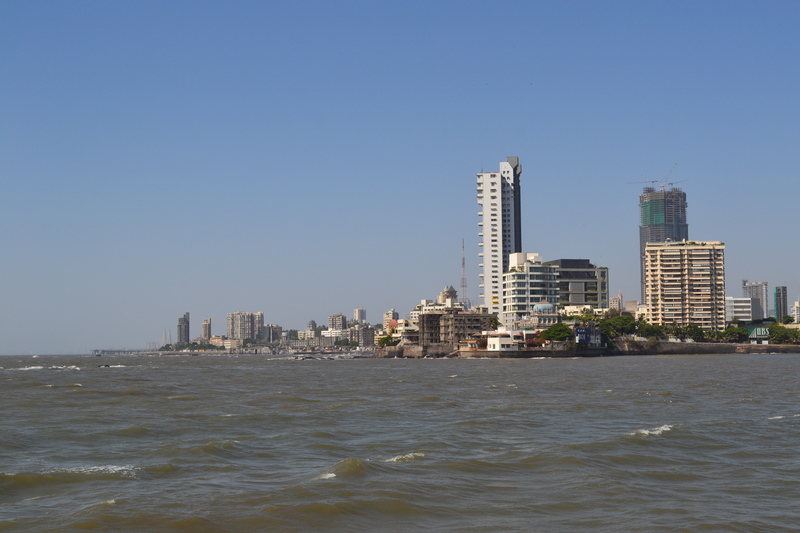 View across Worli Bay. 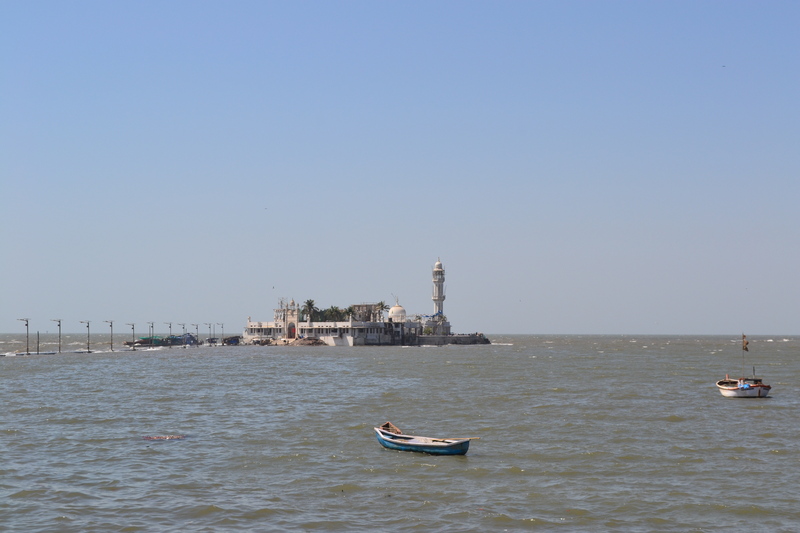 If you look very closely, the Sealink suspension bridge can be seen at the edge of the land on the left.